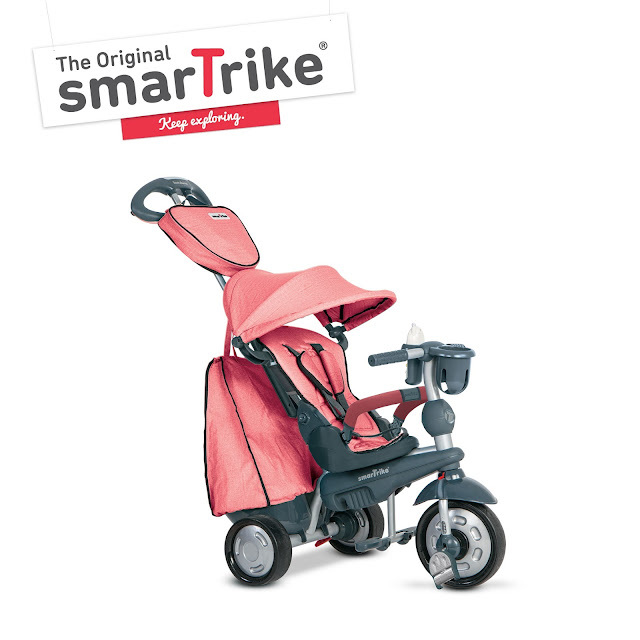 Top of the list to help Jelly Bean enjoy adventures outdoors in places such as the woods and parks is a SmarTrike. A super trike from top trike retailer SmarTrike would be a joy for Jelly Bean to ride on as we stroll around having fun as a family. With touch steering technology and rubber wheels Jelly Bean is sure to have a smooth ride on the SmarTrike. For added comfort and fun we love the look at their premium trikes that are designed with accessories such as a padded seat and toy phone. As Jelly Bean loves balloons – he is truly mad about them! - we thought a great gift for him would be a BUBABLOON. Designed to make balloon play safe for little ones of all ages, BUBABLOON is a lightweight, sensory, bouncy balloon toy. 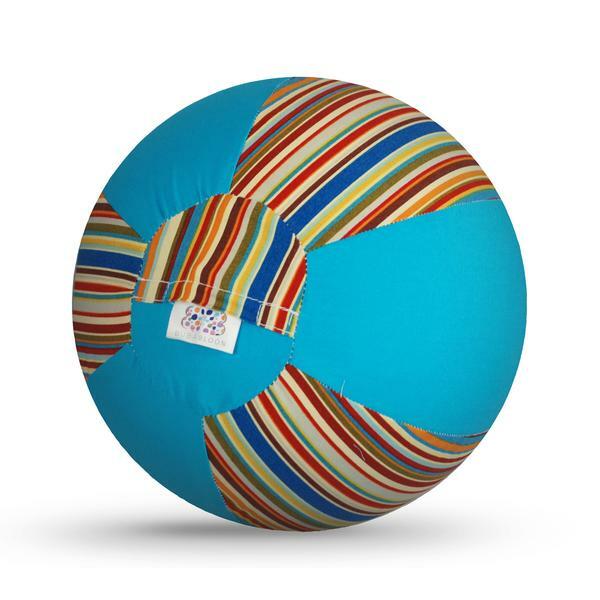 The unique and innovative fabric cover helps keep balloons safe (no popping, chocking or latex allergies) so that little ones can enjoy balloon play as they roll, throw and catch it. The BUBABLOON works with any standard balloon and is reusable, made in the UK, CE marked, safety tested and EN71 compliant, fully washable and made from poplin cotton. We love the look of the Super Stripes BUBABLOON as it is visually stimulating thanks to the bright colourful stripe design combined with a vibrant solid colour, and the tactile fabric will be easy for little Jelly Bean to grip. As our little one loves to ROAR (he is constantly growling and roaring like a little dinosaur) I also can't resist the ehtically made BubaSaur T-Rex. 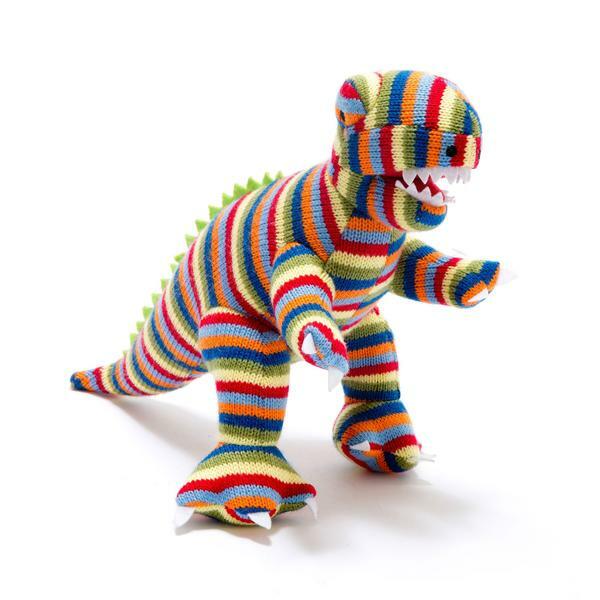 The knitted stripy T-Rex rattle is adorable and I love how they are beautifully detailed with back spines, claws, teeth, mouth and eyes! As we love Little Tikes and Jelly Bean loves the ocean themed Little Tikes friends he already has it only seems natural to get him some more Little Tikes toys from the Lil'Ocean Explorers range. 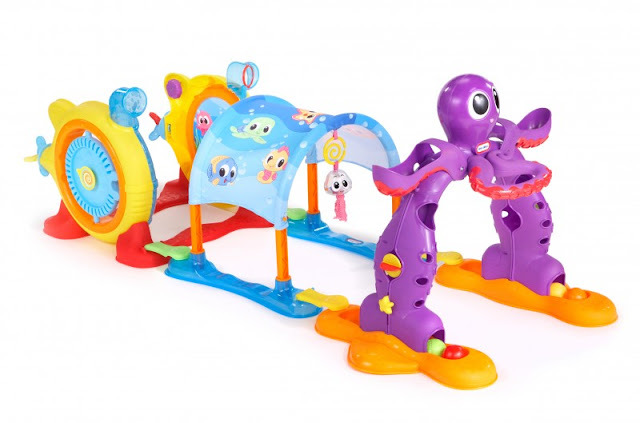 For lots of stimulation and entertainment we love the look of the Lil' Ocean Explorers 3-in-1 Adventure Course that will grow with Jelly Bean for endless adventures. 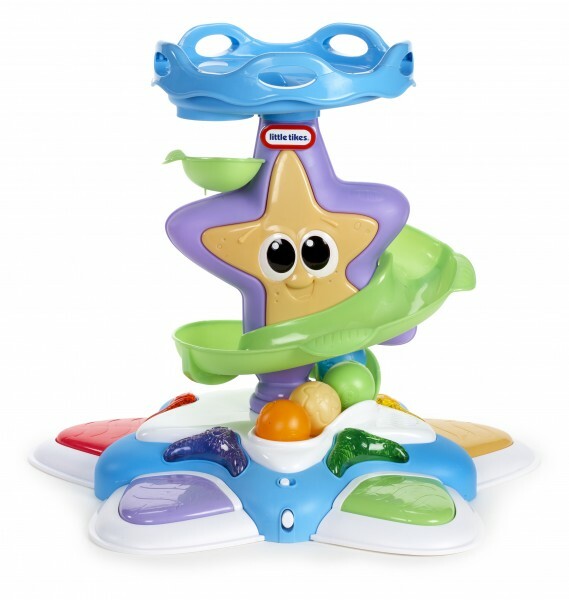 As he loves music I am sure he would love the Lil' Ocean Explorers Stand n Dance Starfish tower so that he can create music and dance along before chasing balls! 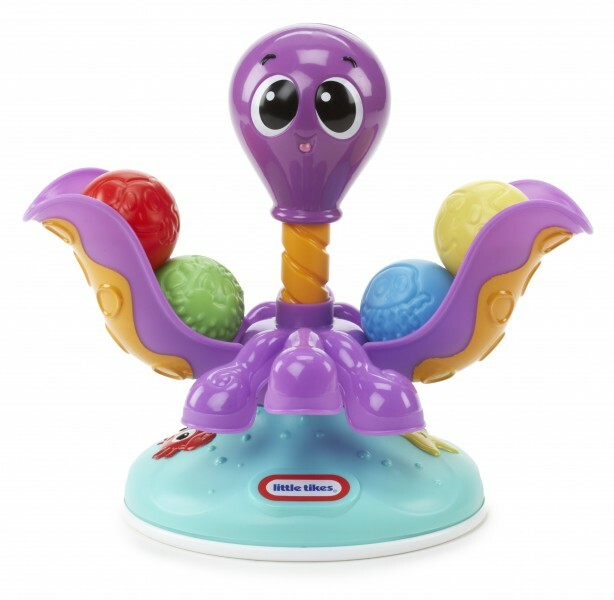 For lots of ball chase fun and to quench Jelly Bean's thirst for being on the move the Lil' Ocean Explorers Ball Chase Octopus is ideal. With a love of ball pits at soft play it makes sense to get a ball pit to call our own so he can have ball pit fun at home. We love the brightly coloured and fun Worlds Apart Zebra Square Sensory ball pit. 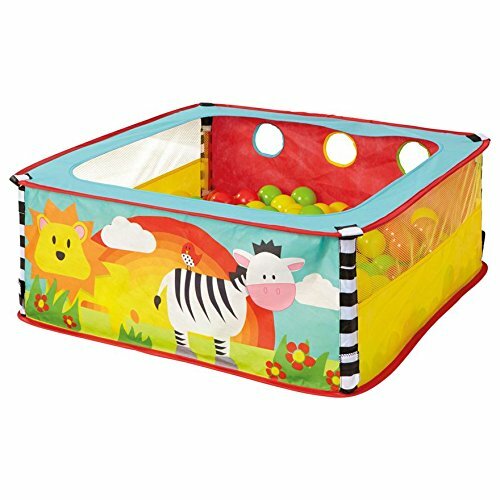 With fun features such as holes on the side and sensory bean bags, and the ability to fold flat for compact storage when not in use this ball pit is a must have for us. As he loves to bounce – he has even created a bouncing walk to get around – a trampoline is sure to be a huge hit for his birthday. 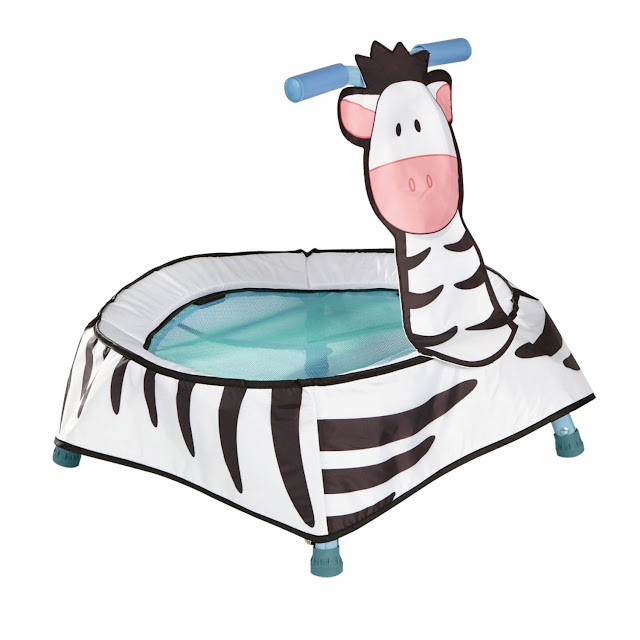 With a friendly zebra design the A-Zebra Toddler trampoline seems like a great first trampoline for him so he can be indoors and enjoy bouncing fun whenever he wants. The fun 'boing' sound is something Jelly Bean would enjoy and I would have the reassurance that its design offers the utmost safety. 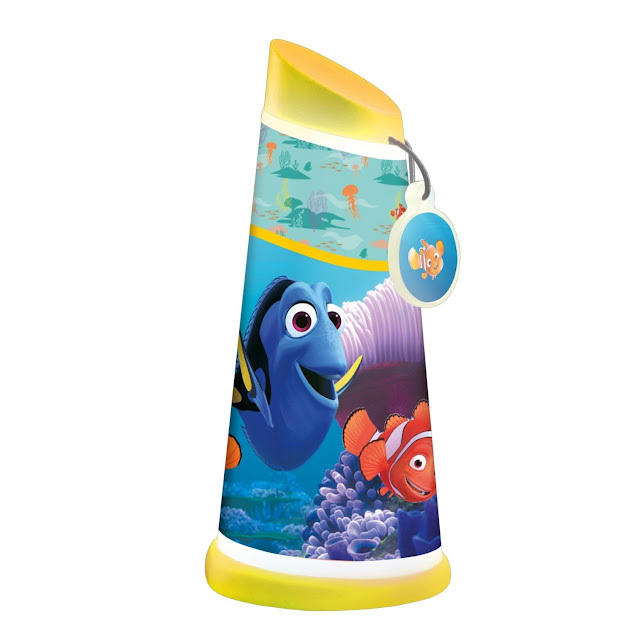 Like most little ones, Jelly Bean is fascinated with lights, as such we plan on getting him a torch for his birthday and what better torch could we get than the 2 in 1 magical motion activated Finding Dory torch with night light by GoGlow. Do you have any top gift ideas for a child's first birthday?